Sachi is using Smore newsletters to spread the word online. Dance lessons for kids of all ages! Experience Various styles of dance from 3-5 every day! Our advanced teen group performing at the living arts center! Join us Everyday from 3-5 at the living arts center! Is dance your passion? Are you looking for a good dance class, but don't want to pay the outrageous prices? Well, look no further! The Mississauga Academy of Dance only charges $50 for a four week dance course. We offer a variety of dance styles ranging from contemporary all the way to hip-hop. All our instructors are professionally trained and have had years of experience. We offer classes for kids of all ages, as well as different levels of experience. You can sign up by simply giving us a call at 905-232-4576! Each of our instructors specializes in a style of dance! Tina has specialized in ballet for over 15 years. Sachi who is our head instructor has specialized in Contemporary dance for over 8 years. Kimmy is our hip-hop dancer and she has specialized in hip-hop for over 6 years. You are guarenteed to learn an entire dance in just 4 weeks! Q: Is each class 2 hours long? A: No, each class is 1 hour long and each class is in a different time slot. You will be given a time for your class once you sign up. Time slots vary for each style. Q: Do I have to sign up? A: To be able to perform at our show at the end of the 4 week course yes, you are required to sign up and pay the $50 fee. However we do hold a half-hour seminar every Saturday. This is a walk in opportunity and you can participate for only $10. Each weekend a different style of dance will be focused on. The next weekend walk-in seminar! 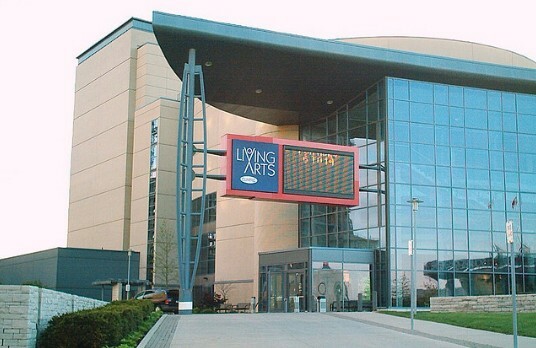 come visit us this weekend at the living arts center for a walk-in dance seminar, for the low price of $10! This week we will be focusing on Lyrical dance.